Now, here’s a great way to wrap up the old year and ring in the new. 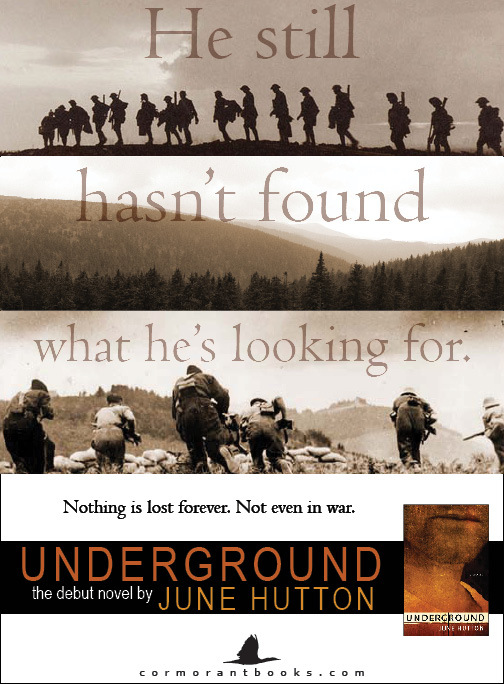 My last review of 2009: “Underground by June Hutton is a compelling novel about one man’s journey to rediscover and redefine himself after a set of devastating experiences in World War I . . . The prose is intuitive, discerning, and often gut-wrenching,” writes Mirella Patzer on her blog Historical Novel Review, Dec. 30, 2009. “Can you imagine that the description of shrapnel emerging from a wound could be stunningly beautiful?” writes blogger Evadne Marcedo about Underground. See details about her upcoming interview with me Jan. 6, 2010. Meanwhile, Merry Christmas, Season’s Greetings, and Happy New Year! See you back here in 2010. November 20 . . . 1975. On this day General Francisco Franco died, ending about 36 years of fascist rule in Spain. It is said that the people of Barcelona noted this event by drinking cava (Spanish champagne) until every last bottle in the city was emptied. “Underground might well qualify as a full-scale intervention in Canadian historiography,” writes Robert McGill in the Literary Review of Canada‘s From the Somme to Guernica. See p. 19 in print version, Nov. 2009 issue. Underground is a McNally-Robinson bookclub recommondation. Canadian Bookworm‘s Shonna Froebel gives Underground a thumbs-up. November 12, 2009 A sad day for me and all who attended my book launch at lively Zocalo restaurant on Main Street. It burned down in the early morning hours today. Here is Zocalo in happier times. Orest Novik took this photo in which my father Bob Hutton aims the camera at my brother-in-law Godwin Eni, who is holding a copy of Underground. Look directly above them and you will see a mirror that artfully captures the launch party in full swing. Nice shooting, Orest! For more photos of the launch, scan down to March 30, 2009. November 11. 2009 Remembrance Day. A day to honour all veterans, present and past. Veterans Affairs welcomes comments on its Facebook site, Canada Remembers. November 9, 2009 Join me for a unique pre-Remembrance Day reading and talk in recognition of Canada’s forgotten soldiers, veterans of the Spanish Civil War. Vancouver Public Library, Central Branch, Alma VanDusen Room, downstairs, 7:30 – 9 p.m. Free admission. Must-read BC Books for Fall: Hal Wake, artistic director of the Vancouver Interantional Writers Festival, calls the shrapnel motif in Underground, “a wonderful metaphor for all those things that emerge from our consciousness and unconscious.” The Vancouver Sun, Saturday, October 24, 2009, p. A4. Catch me and a few other authors in West Coast festival shots snapped by Quill & Quire’s Zoe Whittall. The Afternoon Tea, Oct. 25, 3:30 p.m. to 5 p.m., panel discussion with John Bemrose, Terry Griggs, June Hutton, Colin McAdam, James W. Nichol, Daria Salamon, with host Paul Grant. Check program link for further details of these and other events. October 17 & 18, 2009 WordFest, the Calgary/Banff writers festival. I’ll be appearing in two events. Through the Glass Darkly, Oct. 18, Banff, 1:30 p.m. with June Hutton, John Lathrop, Shandi Mitchell and Eloy Urriz. Check the program link for details of these and other events. “A satisfying and enriching read.” Event magazine reviews Underground , Fall 2009, issue 38-2. September 27, 2009 Word on the Street Vancouver. I’ll be at two events this day. Writing Groups Work, 11 a.m. CBC’s Sheryl MacKay chats with SPiN members Jen Sookfong Lee, Mary Novik and June Hutton, Peter Kaye Room, VPL downstairs. June Hutton reads from Underground, 1:30 p.m., Canada Reads Tent, host: Rebecca Wigod, books editor, The Vancouver Sun. This event adopted by The Alcuin Society. 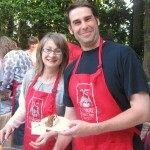 September 25, 2009 I’ll be appearing at the Sidney Reading Series, 7:30 p.m., Red Brick Cafe, Sidney BC. Catch Mary Novik there November 20, 2009. September 5, 2009 Pour yourself a cup of coffee and tune in to CBC radio’s North by Northwest as host Sheryl MacKay talks to me about Underground, shortly after 7:30 a.m., 690 on your AM dial. Slept in? You can listen at your leisure as the interview is available on podcast (scroll down to Sat. Sept. 5). September 1, 2009: Seventy years ago today Hitler’s forces invaded Poland, an act of aggression that triggered the start of World War II, a conflict predicted by many who had fought against fascism in Spain. Just five months earlier, Republican Spain had fallen to the combined military might of Franco, Hitler and Mussolini. In Underground, my protagonist Al is a symbol of the 1,700 Canadian volunteers who joined that fight, but who remain Canada’s forgotten soldiers. See About Underground. I had a great time at the Sunshine Coast festival (see below) and wrote a guest blog about it for Cormorant Books. Have a look. More pictures! My appearance at the Sunshine Coast Festival of the Written Arts (see above) previewed in The Coast Reporter as the third and last SPiN member to read and talk from her novel. July 17, 2009 issue. CBC’s BC Almanac runs another summer reading list from Deb (see below), and Underground is on it. Pictured here is 32 Books’ Kelsey, standing beside a display of my novel Underground that is flanked by the works of my SPiN pals Mary Novik (Conceit) and Jen Sookfong Lee (The End of East). Congratulations to Jack Hodgins, author of Broken Ground, Distance, and the upcoming The Master of Happy Endings, for being named to the Order of Canada! His generous comments about my novel appear on the jacket cover of Underground, as well as on this website’s Welcome page. July 1, 2009 Stop by and say hello during Canada Day celebrations on Granville Island, where I’ll be signing copies of Underground at Blackberry Books, 1666 Johnson Street, in the Net Loft Building, from 11 a.m. until 2 p.m.
Underground”s publisher Cormorant Books was named Small Press Publisher of the Year while Cormorant co-owner Marc Cote was named Editor of the Year at the 2009 Canadian Booksellers Association Libris Awards ceremony, June 20, 2009. Click here to see the full list of winners. “Hutton’s debut novel visceral, compelling” Another headline, same great review of Underground, this one in Saskatoon’s The StarPhoenix, June 20, 2009. June 20, 2009 In the nick of time for Father’s Day, I’ll be signing copies of my war novel Underground at Chapters Broadway & Granville branch, 2-4 pm. Underground makes it onto Cross Country Checkup’s Summer Reading List for 2009 released Friday, June 19, 2009. Underground recommended on CBC Cross Country Checkup’s annual Summer Book Show hosted by Rex Murphy, Sunday, June 14, 2009. Have a listen to the show on podcast. “Hutton’s first full-length novel was well worth the wait” writes John Firth in his review of Underground, The Whitehorse Star Daily, May 27, 2009. “I love the way June Hutton writes,” begins Bonnie Lumley’s review of Underground on Goodreads. You sang it in the schoolyard, you whistled it while watching Bridge on the River Kwai, now the Colonel Bogey March‘s naughty lyrics about facist leaders gain some cred from the BBC. “When the past refuses to stay buried” New headline, same great review of Underground in The Edmonton Journal, May 17, 2009. “Hutton . . . has written a debut work of epic proportions” writes Andrew Armitage is his review of Underground, The Owen Sound Sun Times, May 13, 2009. Buy it recommends The National Post in its review of Underground, “FROM THE FRONT LINES TO FREIGHT TRAINS”. Gritty photo of First World War soldiers in the print version, WP13, May 9, 2009. “A troubled man fights his way out”, a great big spread in The Vancouver Sun that includes Joe Wiebe’s review of Underground, along with photos of me and my SPiN pals Mary Novik and Jen Sookfong Lee, and a sidebar about our group. Page C6, May 2, 2009. 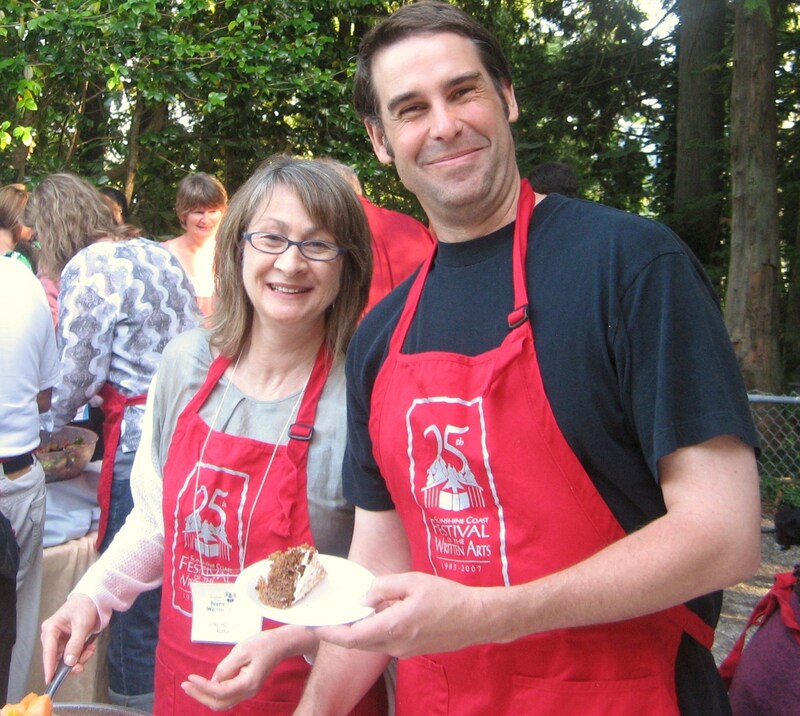 May 2, 2009 I’ll be leading a workshop for emerging writers: “Tips from the Trenches: Pitching Your Fiction to Agents and Editors”, Federation of BC Writers AGM, 1-4 p.m., Listel Hotel, 1300 Robson Street, Vancouver. Registration required. April 23, 2009 I’ll be the guest author at Christianne’s Lyceum of Literature and Art, 7 p.m. 3695 West 8th Avenue, Vancouver. Registration required. April 18, 2009 Are you going to the soiree? It’s free, a chance to meet the nominees for the BC Book prizes and to mingle with others in the writing community. It’s also an opportunity to hear my SPiN pal and outgoing 2008 Ethel Wilson fiction prize-winner Mary Novik say a few words about the prize, the sponsors and the organizers. April 17, 2009 Interview with CBC Whitehorse Radio One‘s Dave White. You can listen to it live on the 17th around 4:30 p.m.
Offering a different take (see Globe review, below), Quill & Quire’s Kathryn Wootton weighs in on Underground, May issue, p. 33. “Taut and lean and elegant“, my first novel’s first review! By Lynda Grace Philippsen in The Globe and Mail, April 11, 2009, p. F11. March 30, 2009 Underground launched at Zocalo in Vancouver. See photos by Orest Novik. They are also posted on Quill & Quire’s Quillblog. I chose this date to recognize the seventieth anniversary of the fall of Valencia and Madrid to facist forces, events that ended the Spanish Civil War and began 36 years of fascist rule in Spain. 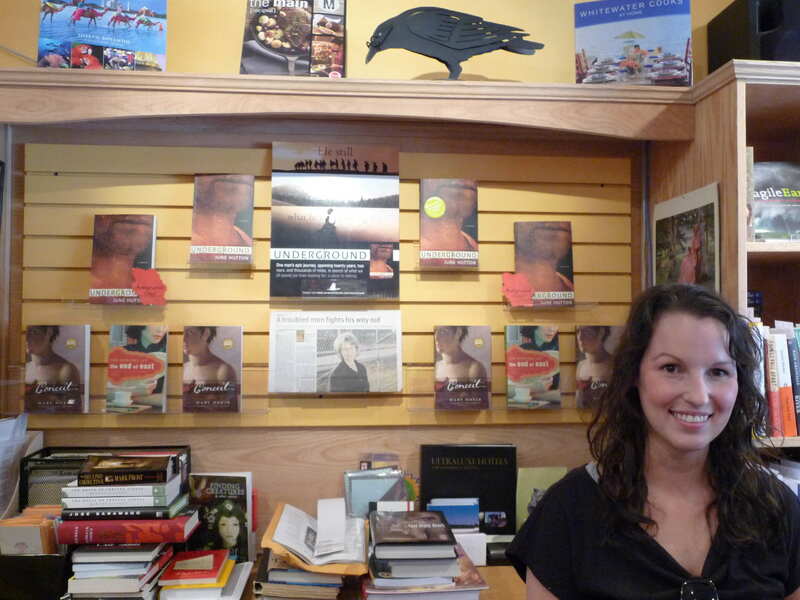 March 23, 2009 Cormorant Books releases the official trailer for Underground. You can still view the original teaser trailer on my Welcome page. March 16, 2009 Release date of Underground. Copies will be shipped out from the warehouse and begin making their way to a bookstore near you. “NOW WE THREE ARE SIX”, SPiN profiled in BC BookWorld, Spring 2009 issue. Scroll down to page 33 on this link. Yes, that’s me, though my name is June not Jane. My protagonist Al Fraser would be amused. I subjected him to many name changes during his search for identity in Underground. Note: In Summer 2009 issue BC Bookworld kindly corrects error and gives Underground a second plug U is for Underground (scroll down to page 39). Much appreciated, guys! March 2-6, 2009 Catch Jen Sookfong Lee on Canada Reads as she defends Fruit by Brian Francis. That’s 11:30 a.m. or 7:30 p.m., 690 on your a.m. dial. “Writing Group Makes Good,” article on SPiN by Sarah Treleaven in Quill & Quire, March 2007 issue, p. 7. “Raising gems, together,” The Tuesday Essay in GlobeBooks by June Hutton, Jen Sookfong Lee and Mary Novik, Feb. 24, 2009. Also check out the Deals section of Quill & Quire for the announcement of Mary Novik’s new novel Muse. You need a paid membership to get the whole story, but you can see enough of the details to get the idea. Way to go, Mary!! February 10, 2009 I’ll be reading from Underground at the BC Bookfair, Laurel Point Inn, Victoria, 7:30 a.m.